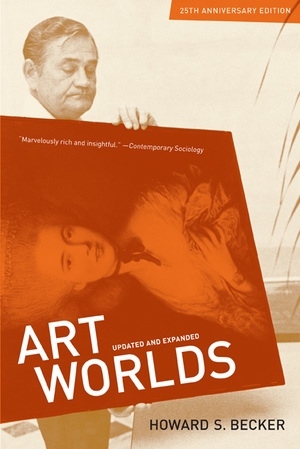 This classic sociological examination of art as collective action explores the cooperative network of suppliers, performers, dealers, critics, and consumers who—along with the artist—"produce" a work of art. Howard S. Becker looks at the conventions essential to this operation and, prospectively, at the extent to which art is shaped by this collective activity. The book is thoroughly illustrated and updated with a new dialogue between Becker and eminent French sociologist Alain Pessin about the extended social system in which art is created, and with a new preface in which the author talks about his own process in creating this influential work. Howard S. Becker is author of many books including Telling About Society, Writing for Social Scientists, and Outsiders.